Since Clovis (481) and the advent of the monarchy by divine right, the French bass conditions had accepted the concept of voluntary servitude, well described by the Boétie in his famous speech. This fact was based on a fool’s bargain: the Third Estate , representing the overwhelming majority of the population, brought the other two orders (the Clergy and the Nobility) its work force. In return, the clergy guaranteed him a place in heaven and the nobility, the safety of the castle and the issue of justice. No one then thought to overthrow the established order … But the terrible famine of 1788 was going to shake the monarchy that seemed so eternal. La Boétie , from the sixteenth century, was amazed at the masses enslaved by a few. Really surprising thing […] See millions of millions of men, miserably enslaved and subject headlong in a deplorable yoke, not because they are compelled by force majeure, but because they are fascinated and, as it were, bewitched by the name of one, they should not be feared, since it is only nor cherish, as it is, to them all, inhuman and cruel . La Boétie. Discourse on Voluntary Servitude. How could such a building hold? By what mystery the nobility and the clergy held they allowed an entire people? Why do farmers agreed to serve as the Prince, as La Boétie told himself, he would have been enough to no longer be used for the system to crumble for lack of resources (provided by the only peasant labor) and be free. La Boetie showed how these two devices had kept everyone in his place. You never complained that we never had. La Boétie. Discourse on Voluntary Servitude. The beggar was born rascals, as his father had been before him, and his father’s father and so for tens of generations. The memory is lost time where every man was free. The beggar did not imagine that it could be otherwise. He willingly served the monarch, because he was fascinated by this character who held his power directly from God. Was it not God’s lieutenant on earth? Had he not the power to heal scrofula ? It would have sufficed that the beggars refuse to end this « voluntary servitude » to that in a moment, the fragile equilibrium crumble and feudalism disappears. The tyrants are great only because we are on our knees. Be determined not to serve more, and you will be free. La Boétie. Discourse on Voluntary Servitude. But for centuries, it was not in question. The serf accepted his servitude. And 99 percents of the population were enslaved by the latest percent. What has happened, then July 14, 1789? Tocqueville will help us to see more clearly. The nobility and the clergy, circumstances allies, had made every effort to maintain this status quo obviously to their advantage. The King was knighted by the religious authorities, which gave him a sacred character so that no one could challenge. Since St. Augustine (The quoted God – V century), the king was « divine right. » Holder temporal power he exuded privileges to the nobility who served as the willingly back into an exchange of friendly system. When I think of those people who flatter the tyrant to exploit his tyranny and slavery of the people, I am almost as often amazed at their wickedness qu’apitoyé by their foolishness. La Boétie. Discourse on Voluntary Servitude. Part-cons, the King, gladly first defender of the Christian religion, the clergy octroyait exclusivity of spiritual power. It assured him of privileges, including the ability to levy taxes (Gabelle). For what (s) reason (s) that seemed so solid began to waver? The clergy , meanwhile, calmed the souls or more accurately embrigadait minds based on ancestral fears. 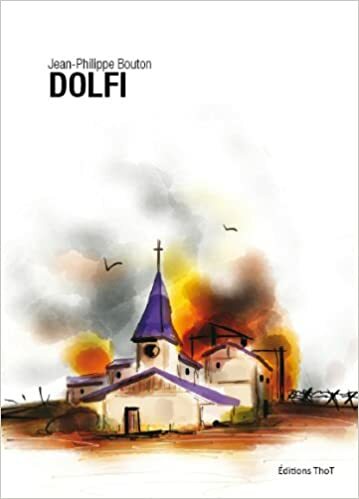 He promised the worst (hell) to poor flock (which for example challenged royal authority) and exercised a kind of secret police through confession. The people, then very believer could only submit: order on earth was the image of the order in heaven, as Augustine had described in his Cited God. The « services » provided by the nobility and the clergy justified their privileges and their particular tax exemption. Bullies themselves do not deny that freedom is excellent; only they want it for themselves, and they argue that all the others are quite unworthy. Tocqueville The Old Regime and the Revolution. 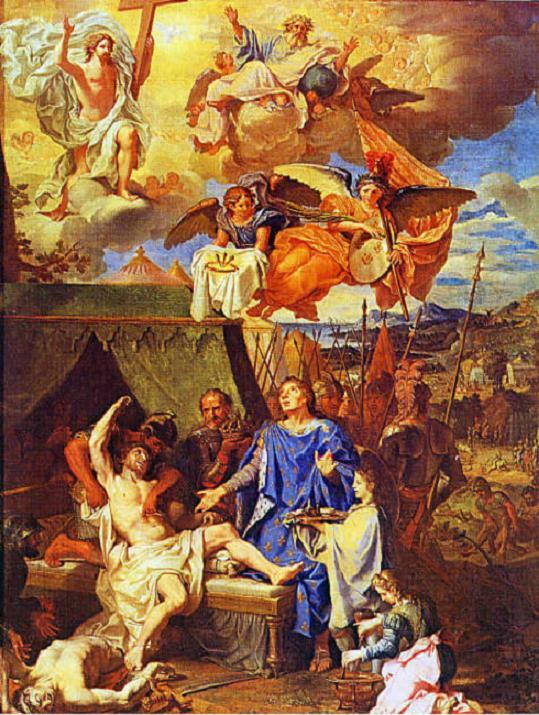 It was Louis XIV who broke inadvertently, this balance: scalded by the Fronde noblemen experienced by Louis XIII, he decided to repatriate potential agitators (Nobles) at the court of Versailles for better control. Nobility swords gradually turned into nobility dresses. She always enjoyed its privileges, but exercised more charges in the provinces. This imbalance became unbearable for the people of the poor. The tax exemption became pointless. To overcome the lack of Lords in the provinces, an enlightened bourgeoisie was formed, including exercise sovereign charges (justice, commerce, …). From this sprang the first lights elite and especially the first order of established critics: Jean-Jacques Rousseau , Voltaire, Condorcet, Diderot and others handed in question the temporal and spiritual powers. spiritual exerted by the Church. Montaigne in the sixteenth century (The cannibals ) denounced the absurdity of monarchy, where heredity prevailed over talent. Montesquieu (The Persian Letters), a century later, proposed a similar satire, Persians astonished to see a child in order to wise old men. In (The Spirit of Laws) he advocated a separation of legislative and executive power, the only guarantee against tyranny. Locke and Rousseau (The origin of inequality among men) denounced the confiscation of power by some. In his Social Contract, Rousseau proposed a parliamentary system where laws are made by the people, for the people, the sole general interest. Kant was also innovative in proposing to define a moral and therefore a humanist justice (from the man) and by ridding of any religious dimension. From the seventeenth century, Voltaire in Candide, had put Providence to its contradictions. In his Treatise on Tolerance, he denounced religious absolutism. In the sixteenth century, d’Holbach , the Marquis de Sade , Diderot and the Abbe MESLIER went further by clearly displaying their atheism. They were all children of Montaigne (Essays) and Spinoza (Ethics), which already had shaken seriously the Christian dogma. Montaigne is fideist simply said: he was Christian was « born in a Christian land » and was Mohammedan in Islam. Atheism was not far off. Spinoza refused a God personified (bearded old man). He likened God to nature in a large pantheism: DEUS SIVE NATURA: God or Nature. Scientists (Kepler, Galileo, Descartes , Newton, Leibniz ) , showing that nature could be enclosed in mathematical formulas, desecrated the world, the universe débarrassèrent the miraculous magic of the Bible. Note also that at the time of the Revolution, all these thinkers, except the Marquis de Sade, were dead. Writing Encyclopedia, from 1751, was the occasion for a wider dissemination of philosophical ideas. The Revolutionary ferments were so there. One winter a little too rough (1788) did the rest. Maximilien Robespierre was a student at the Lycée Louis-le-Grand in Paris with Camille Desmoulins. The high-bourgeoisie (Voltaire Danton, Desmoulins, Mirabeau, Marat, Robespierre …) was just as cultured as the nobility and sometimes richer. She was behind the uprising. The little-people of the sans-culotte was a valuable relay in the heyday (the storming of the Bastille, the storming of the Tuileries or elimination of moderates (Girondins). However, from 1795, when the situation was more or less stabilized, the high bourgeoisie (Barras) did his best to dismiss this little-people of the gains of the revolution. Grachus Babeuf, the author of Conspiracy of equal (1796), the first true Communist, was the last to demand the abolition of private property. It was not conceivable for bourgeois enriched and then in power. The French Revolution ended with a partial failure: the Management Board. A master class (bourgeois) replaced by another (the Noble), to the misfortune of the little people that are locked in factories. 1786. The state coffers are empty. The loan Necker has not had the desired effect. Everyone knows that a tax reform is necessary by the legislative arsenal in property taxes, particularly difficult obstacle for the clumsy government of Louis XVI. The most dangerous moment for a bad government is usually one where it starts to reform. Tocqueville The Old Regime and the Revolution. For the landowners, of course, it does not matter. Louis XVI decided to call Calonne , a favorite of the Queen. His friendship with Marie Antoinette is clearly not an asset, « the Austrian » being the eyes of the French, largely responsible for the crisis by its Pharaonic spending. In 1786 Calonne finally launches an assault of tax fortress: a land tax would be paid by all subjects, without exception! Predictably, the owners are demanding his departure. In 1787, Brienne Lomenie replaces and tries to turn the impossible. This time, the Parliament of Paris and Louis XVI opposes sending troops is greeted with tile jets (day to be called the « day of the tiles »). The convocation of the Estates General is then inevitable. That is, to the Third Estate, the opportunity to wear the famous notebooks complaint. Necker is a banker, author of essays of successful economic policy. He was spotted by Louis XVI appoints the head of the Royal Treasury in 1776. In August 1788 under the pressure of public opinion, it is made Minister of State. 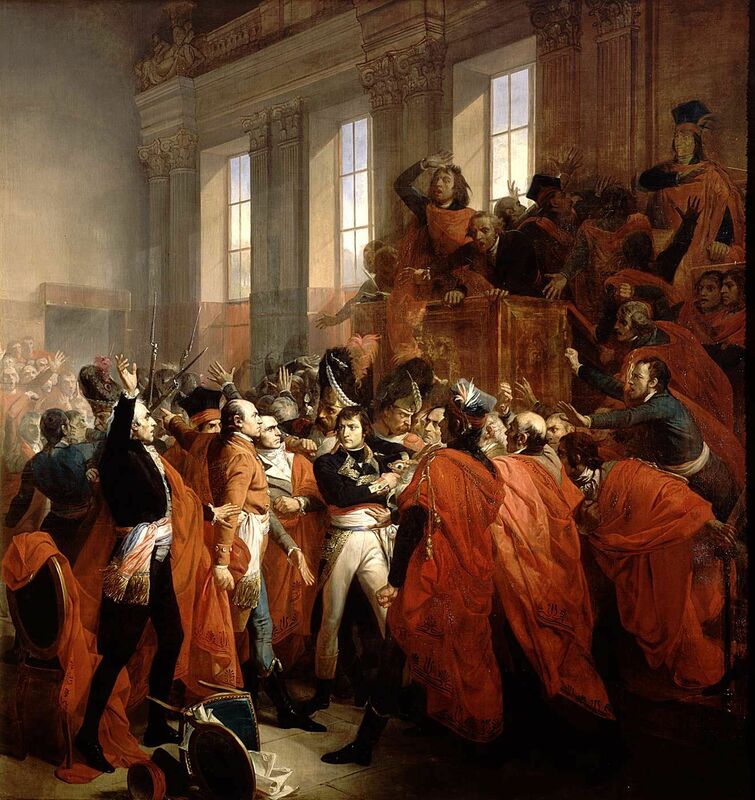 On May 5, 1789 , they are summoned to Versailles. June 17, 1789, Necker, who was recalled, presents the accounts of the kingdom (carefully avoiding to mention the issue of privileges) and outlines its strategy. June 20, 1789, the deputies of the National Assembly, under the authority of BAILLY, astronomer and future mayor of Paris, take the oath in the hall of the Tennis Court: they swear not to separate until they had given a constitution to France. This is the first affront to royalty. Jean-Sylvain Bailly (1736-1793) – He wrote Hatter with the list of demands on behalf of the city of Paris that it requires, in particular, the destruction of the Bastille. He attends the States General as a member of the Third Estate , where he became President. It is the first MP to swear in the Jeu de Paume. He undid directly Louis XVI by refusing to evacuate the hall of pleasures: he proclaimed himself the then President of the National Assembly. He was appointed mayor of Paris by Louis XVI was guillotined in 1793 for having, in 1791, ordered the Republican Guard to fire on the crowd came to claim the King’s dismissal (shooting from March Field July 17, 1791). On 9 July 1789, the deputies of the Third Estate, joined by some of the lower clergy, go further by transforming the National Assembly in Assembly « Constituent Assembly », that is to say, it aims to give France a new constitution. The Swiss guards were massacred for the opportunity that will see the release of six prisoners. The governor, Bernard René Jourdan, marquis de Launay, ends beheaded by a butcher and exhibited at the end of a pike. King, returning from the hunt empty-handed, wrote in his diary « 14 July: nothing. » He appoints Lafayette, the hero of the American commander of the National Guard, and Bailly mayor of Paris. He agreed to wear the tricolor (white of royalty surrounded by blue and red, the colors of the city of Paris). 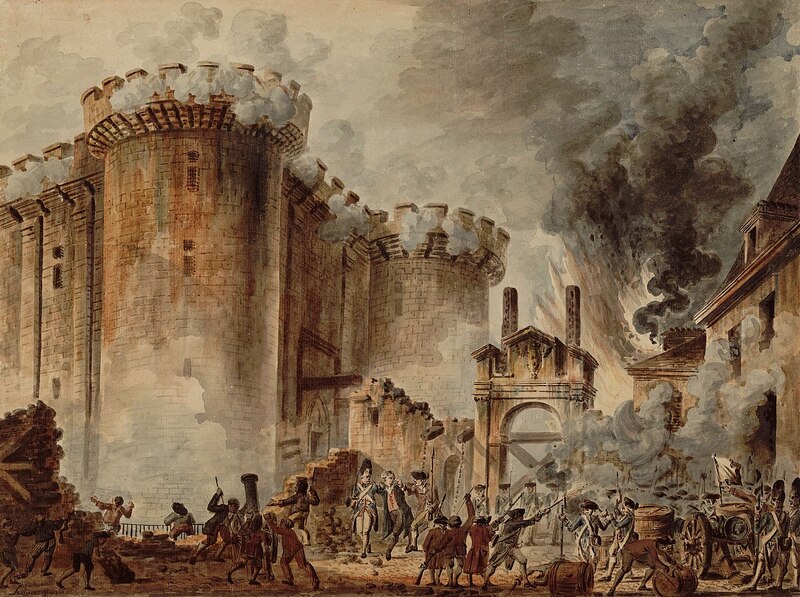 The taking of the Bastille marks the first wave of departure for Nobles abroad, constituting the first battalions of the « exiles ». It also marks the birth of the Paris Commune , following the assassination of the mayor in place ( Jacques of FLESSELLES) and its replacement by Jean-Sylvain Bailly , a friend of GUILLOTIN whose sharpened tool decide the head two years later. Camille DESMOULINS- Lawyer practicing in Paris, he met Robespierre to Louis the large high school. By June 1789, it attacks the monarchy in a pamphlet (Free France). It is he who stirs up the crowd in the garden of the Palais Royal, before the taking of the Bastille. It is part of the Club des Cordeliers and other written pamphlet in « Lantern ». It is linked to Danton and Robespierre gradually oppose. Terror in full, it will advocate of clemency which will lead him to the scaffold in 1794. On 4 August 1789, the privileges are abolished by the Assembly. Two nobles join the revolt: the Vicomte de Noaille and the Duke d’Aiguillon. All citizens are now equal in rights and duties. It should be noted that the upper middle class, but not too philanthropist, has ensured that occasion, to preserve the right to private property. Viscount NOAILLE – It represents the Nobility (Nemours) in the States General. But it has the peculiarity of leaning toward the abolition of privileges! During the night of August 4, 1789, it will have a decisive role. Despite this originality, and having held positions in the revolutionary armies, he will, like many, suspected, and will go into exile in the United States. His wife remained in France was guillotined. There we find the great principles of modern democracies, inspired especially Montesquieu ( The Spirit of Laws ), Kant and especially Rousseau , who in his Social Contract defines freedom as the obligation to respect the laws that ‘it was prescribed. The man is a wolf to man, the state of nature leads to perpetual war with others. There is also vulnerable due to its low natural gifts. It is therefore compelled to life in society. To allow this life in society, he must give then to his natural liberty: his violent instincts. In return, he receives the security offered by the group. Then there are laws to prevent the strong abusing the weak and defending the public interest exclusively. The monopoly of violence is entrusted to the public authorities (police) to protect society and the public interest. Every citizen can live as he entant subject to compliance with these laws. the establishment of a public force, sole depository of the right to violence, for the sole purpose of enforcing laws. It is stated in its preamble, it is written under the auspices of » The Supreme Being » (inspired by Robespierre sworn enemy of atheism). The path to secularism is still long and will end in 1905 with the Law on the separation of church and state. The right to property is guaranteed. Here we see that the revolution is above all bourgeois: 30% of deputies of the third were lawyers (including Danton, Robespierre and Desmoulins), the rest being doctors, merchants. The right to security is also available. This is to stop the seals denounced by Voltaire letters that enabled the prince to make arbitrary arrests. The July 12, 1790 , the Revolution addresses the clergy. The assembly voted the Civil Constitution of the Clergy. Priests must swear allegiance to the Constitution for fear of being labeled as « refractory ». The goods are sold to replenish the state coffers. Louis XVI knowing more and more threatened, on the advice of the Queen, take a decision which will precipitate his loss and the fall of the monarchy: he left the Tuileries secretly trying to join the monarchies of eastern sisters (including Austria) where the exiles are organizing against the revolution. The acknowledged king stopped at Varennes . Hitherto benevolent, people feel betrayed. His end is now programmed. The days of the monarchy are numbered. From there was born a rift between the people on one side (supported by the Cordeliers and the Jacobins) who wants the immediate establishment of the Republic and the other, the Assembly wants to restore the King in his duties. The fiction of his abduction is then implemented by Lafayette and adopted by the Assembly. The July 17, 1791 a crowd excited by Jean-Paul Marat collects at the Champ de Mars. The Constituent Assembly then asked the municipality of Paris to restore order! This is a major turning point of the revolution. We do not know where went first shot, but there are 50 dead. La Fayette, who commanded the National Guard under the authority of Bailly, is weakened. The break is between supporters of the Republic and those of the Constitutional Monarchy (grouped in the club of the Feuillants). Bailly gets scared. He resigns. He left Paris and hides in the province where the revolutionary tribunal catch in 1793, before shortening it on the Champ de Mars, instead of his murderous exploits. He was replaced by Pedestrian. April 20, 1792, revolutionary France declares war on Austria. The French successive defeats and soon Prussia joined Austria in a coalition against revolutionary. The King returns Girondins ministers and replace them with Feuillant (pro-monarchy). Exiles fanning revolt border with the support of monarchies. On 11 July 1792, the Legislative Assembly then declared on the initiative of Danton, « the country in danger, » which mobilizes troops. By the Brunswick Manifesto, are promised the worst reprisals Parisians if the king and his family were to be threatened. Danton, president of the club of the Cordeliers, leads with his friends Robespierre, Desmoulins and Marat, the prom this new revolution, this time, wants to go to completion by getting rid of the monarchy. After the Austrian provocation, the reaction of Parisians did not expect. Federated come from all over France to join the revolutionary armies. Pedestrian, August 3, asked the assembly to abolish the monarchy. August 10, 1792, under the leadership of the town « insurgency » of Paris, Parisians take the Tuileries by massacring hundreds of Swiss guards assigned to his protection. The royal family is now trapped and finds refuge in the National Assembly. Then she joined her last prison in the Temple prison. The King is suspended. It then enters a period of political vacuum. The legislature manages the current affairs. To compensate for the sudden disappearance of the executive, interim executive board is set up. The Convention, inspired by the American model, will take the Assembly’s relay. and a vision « bourgeois, » driven by Brissot and the Girondins Feuillant, including La Fayette, but Mirabeau, Duport, Barnave, Lameth who would consolidate the gains and end the Revolution here. Georges Danton – It is the beginning of the revolution rather royalist. He attends the States General on behalf of the district of the Cordeliers church. He takes the revolutionary bandwagon: in April 1790, he founded the Society of Friends of the Rights of Man and Citizen . Fierce advocate freedom of expression, it requires Varennes after the establishment of the Republic. It is questioned (Marat) during the shooting of the Champ de Mars (July 17, 1791), where die sansculottes carrying a petition to Cordeliers Club demanding the deposition of the King. He went into exile in England and returns to Paris where he is exonerated. He became minister, his apotheosis, and seeks to stop foreign invasions. It galvanizes the countries around the Revolution’s ideals proclaiming his famous « To defeat the enemy, we need audacity, more audacity, always audacity! « . It becomes number 2 of the Convention to Robespierre. But he prefers seats in the Assembly and decided to settle on the benches of La Montagne where he attempts a reconciliation with the Gironde.Il remains attached to the monarchy and would save the King. Chance, then vote death. He manages to organize the great revolutionary army (300,000 men), and created the revolutionary court and the public hello Committee (1793), where he became President. The betrayal of Dumouriez (winner of Valmy), defeats in Vendée (against the Chouans), assumed his negotiations with the invaders and the Monarchy up against him Robespierre, Marat and Saint-Just. He departed from the committee. His flight to Paris leaves the field open to supporters of Hebert and Robespierre that broadcast, the Cordeliers, socialist ideas they do not like what the bourgeois still Danton. His opposition, terror will strike his loss and he will say: « better a hundred times be guillotined than guillotine. » He died April 5, 1794. Alarmed by the risk of royalist plots and the risk of Prussian-Austrian invasion, the people, still excited once MARAT, book between 2 and 6 September 1792, in massacres, particularly in prisons where the Nobles are retained. In Paris, there were 1300 deaths. A radicalization of revolutionary positions is on. Marie-Thérèse de Lamballe , confidante of the Queen, is in pieces and presented to Marie Antoinette window after a picnic, as is the revolutionary tradition. Tout était écrit dans le Manifeste Al-Souri : Londres, Boston et maintenant Paris. Un djihadisme, low-cost, 2.0, basé sur de petites équipes ultra-motivées, autonomes, dotées d’un seul mot d’ordre : tuer puis mourir. Un djihadisme « par le bas », qu’Al-Souri nomma nizam la tanzim ; un djihadisme insaisissable, car désordonné, invisible aux radars car dépourvu de commandement central. ferlante américaine et l’Irak avait été perdu au profit des Chiites, faisant ainsi échouer le projet de Califat sunnite. Al Qaïda, dont Al-Souri fut l’un des membres éminents, appartenait au passé. A ces guerres désuètes, ces vidéos de mauvaises qualité sur bandes VHS, Al-Souri substitua des super-productions à la Assassin Creed et surtout une nouvelle stratégie : il convenait pour le nouveau stratège de la terreur de s’attaquer dorénavant au ventre mou de ses ennemis, l’organe à portée d’autobus : l’Europe et notamment la France déjà investie par des millions de fidèles potentiels, les Musulmans des troisième et quatrième générations qu’il suffisait de réveiller à grands coups de vidéos « disponibles en un clic », pour fabriquer sur place une armée martyres ! Et pour forcer l’allure, Al-Souri en était sûr : ces Musulmans devaient se sentir rejetés, devenir des citoyens de seconde zone ! Rien de tels que le rejet pour fabriquer du révolté ! Chaque balle tirée devait donc dresser les Français de souche contre les Arabes. Chaque musulman devait, aux yeux des Français, devenir un suspect, une bombe en puissance, un porteur de Kalachnikovs prêt à arroser les quartiers. Al-Souri faire pousser sur les terres de France le poison de l’islamophobie ; il voulait que les Français deviennent racistes, anti-arabes, que les deux communautés se séparent par un mur de haine réciproque, que la ratonnade réponde à l’attentat martyre. Alors l’armée du Califat serait possible aux portes de Paris… Car pour Al-Souri, l’islam ne pouvait se comprendre que conquérante et la conquête ne pouvait se faire que dans le sang. Dans son manifeste, Al-Souri avait proposé de s’attaquer en priorité aux lieux de grands rassemblements, comme les stades, les terrasses de café ou les salles de spectacle. Le but était de faire un maximum de victimes, si possible gratuites, avec un minimum de moyens. Le hasard avait une dimension importante. L’idée n’était pas de cibler une communauté particulière, comme les Juifs, ou un symbole de l’État, comme un policier, mais bien le Français moyen. Il fallait faire prospérer dans la société française un sentiment d’insécurité général et de haine. Et il y a eu Mehra, le Thalys, Charlie, le Bataclan, le Stade de France. Des meurtriers furent lancés au hasard sur la foule, amenant la guerre au cœur de Paris, des morts dans le caniveau, couchés sur la scène désertée par les aigles métalliques… Tuer et mourir ! Pourtant, après la stupéfaction, il semblait que la France gardât son sang froid. Oh ! Il y eut bien quelques réactions islamophobes, des graffitis sur les mosquées, mais rien de plus. La rue pourtant avait changé. Des images que l’on pensait réservées à Jérusalem ou Tel-Aviv surgirent en plein Paris : on vit des camions de l’armée, des bataillons de chasseurs alpins, des gendarmes à chaque coin de rues. Malgré la peur, la République tint bon. Frappée, agressée, elle résistait encore. Ancrée solidement depuis deux siècles à ses principes révolutionnaires, hérités de 89, elle refusait de céder à la tentation du crime, de la vengeance aveugle qui aurait achevé le plan Al-Souri. Mais pour combien de temps ? Ce fut à Cologne que tout dégénéra, de l’autre côté du Rhin. La nuit de la Saint-Sylvestre, des centaines de femmes furent agressées par des milliers d’individus. Après enquête, la police montra que parmi les agresseurs, figurait une majorité de migrants, ceux qu’Angela MERKEL avait fait venir en Germanie. Six mois plus tôt, L’Europe entière avait pleuré devant la photo du corps sans vie du petit Aylan, trois ans, le nez planté dans le sable d’une plage de Turquie. Les bonnes âmes avaient alors ouvert les portes de l’espace Schengen permettant à des centaines de personnes venues de Syrie, d’Irak, mais aussi du Maghreb du Pakistan, de l’Afghanistan et de l’Afrique subsaharienne de migrer. Parmi elles, les kamikazes du Stade de France. Une aubaine pour la réussite du plan Al-Souri. Quoi de plus facile que de cacher parmi ces foules, de vrais djihadistes, de futures bombes humaines, bref autant de nouvelles munitions faciles pour alimenter sa stratégie du chaos ? Une victime de CologneCe soir-là, sur le parvis de la gare de Cologne, des milliers d’individus se rassemblèrent, plus ou moins spontanément. La foule allemande, peut-être un peu trop naïve, sans doute encore meurtrie ou culpabilisée par son passé nazi, subit brutalement, sans sommation, le choc des civilisations. La femme en terre d’Islam n’est pas grand chose ; la mécréante allemande encore moins aux yeux des plus endoctrinés. Ce fut comme à la foire aux bestiaux. Chacun put se servir, toucher, sans retenue, sans crainte. La police fut débordée. Des centaines de plaintes pour agressions sexuelles furent déposées à la police de Cologne. L’Allemagne se réveilla avec la gueule de bois : ses femmes avaient été bafouées, humiliées par les énergumènes qu’elle avait accueillis les bras ouverts. Pire qu’une trahison, un coup de poignard obscène dans le dos. Les mise en garde de la Chancelière n’y firent pas grand chose. Le pays venait d’être sali comme jamais il ne l’avait été. Et dire qu’il y avait sur son sol près d’un million d’étrangers ! La suite ne sera-t-elle qu’une fiction ? PEDIGA vit dans ces évènements la justification attendue de son combat. Cet instrument inconscient de la politique Al-Souri organisa des marches contre « les Canaques ». Des Pakistanais se retrouvèrent à l’hôpital. Et les plaintes continuaient à affluer. Les défilés de PEDIGA se transformèrent en marées humaines, débordant son bastion historique de l’ex RDA. Plus aucun migrant n’était en sécurité. On ne comptait plus les règlements de compte sommaires. Puis les premiers morts : un Marocain fut trouvé dérivant sur le Rhin. Les migrants s’organisèrent en milice, ne se déplaçant plus qu’en groupes, parfois forts de milliers de personnes, sous les huées des badauds plus ou moins excités. Le 8 juillet 2016, une manifestation interdite de PEDIGA se heurta à une dizaine de ces groupes dans les rues de Dresde. L’affrontement fut cette fois-ci général. Lorsque la police parvint à disperser les derniers hooligans, on trouva 27 corps sans vie. Puis, la contamination s répandit dans l’Europe tout entière. En Suède, où les autorités cachèrent les incivilités commises par les migrants. A Paris, ensuite, où l’on voulut venger les victimes du Bataclan : 30 morts. Puis à Bruxelles, où Molenbeeck fut le théâtre de scènes de guérillas urbaines. Chaque camps sortit les armes lourdes : 70 morts. Les Pays-Bas suivirent avec 7 morts recensés à Rotterdam, tous marocains. A Londres, on vit apparaître des crois nazis dans les défilés. A Moscou, une chasse à l’homme géante fut lancée pour traquer les Musulmans et « les expulser du pays à coups de bottes », sous les yeux presque complice du pouvoir. Ce fut alors que toute la Seine-Saint-Denis s’embrasa. La Courneuve, Aulnay-Sous-Bois, mais aussi Trappes dans les Yvelines, les quartiers nord de Marseille se couvrirent de barricades pour empêcher les forces de l’ordre de pénétrer dans les quartiers. Une manifestation monstre de l’extrême droite se dirigea tout droit vers le nord de Paris, avec la ferme intention de « reconquérir le territoire ». Les porte-paroles voulaient « refaire couler du sang impur dans les sillons ». Et du sang, il en coula. Le Président avait perdu la main. Les militaires le pressaient de déployer les blindés dans les rues pour ramener le calme. Mais il hésitait encore. Il ne voulait pas rester dans l’histoire comme un Président réactionnaire. Et s’il y avait un tir « inapproprié », du sang français sur les pavés de la République ? Non. il ne ferait rien de plus. Le quartier de Barbès était maintenant lui-aussi en état de siège. Tout ce qui ressemblait à un immigré se terrait, se cachait dans les sous-sols. Sur les grands boulevards, des milices armées, encagoulées, faisaient régner leur ordre. Cette fois-ci la garde républicaine fut déployée. Il était temps. Les émeutes avaient fait près de 2000 morts. Le 24 décembre 2016, à minuit, malgré l’extrême présence policière, un forcené parvint à pénétrer dans la Cathédrale de Notre-Dame-de-Paris. Il sortit son arme automatique et balaya la foule massée dans les travées aux cris d’Allah est grand. Puis, il se fit exploser, faisant chuter sur la foule les masses de pierres saintes suspendues depuis des siècles. La cathédrale n’était plus qu’un amas de gravas. On tira des centaines de corps des décombres, dont celui de l’archevêque. La même scène se produisit à Vienne en Autriche et à Berlin. Deux autres attentats furent déjoués de justesse à Londres et à New-York. C’en était trop. On cria vengeance, encore plus fort. On demanda du sang, un nettoyage du pays, de l’Europe tout entière de « ces chiens galeux ». Les extrêmes se déchaînaient partout. Si le Président n’en était pas capable, eux feraient le ménage. Et les élections qui approchaient. La famille LE PEN était déjà créditée de 53 % dès le premier tour. A droite, les candidats à la primaire ne parlaient plus que des valeurs chrétiennes de la France, de son attachement à la race blanche, de décapage des banlieues ! Les thèmes qui auraient fait bondir les plus radicaux des années 80 étaient devenus banals. Al-Souri n’en espérait pas temps. La phase suivante de son plan pouvait être lancée : Le 1er mars 2017, il lança son fameux appel de DAESH : » les Musulmans d’Europe, oppressés, devaient maintenant se lever en masse contre les Croisés. » La guerre des civilisations venait de commencer. September 20, 1792, Dumouriez and Kellerman victorious Valmy face the Prussian troops from reinstate the King in his fonctions.C’est the first revolutionary victory inaugurates significant territorial gains in Flanders, Prussia and Italy. This addresses to spread throughout Europe the ideas of the Revolution. and Montagnards (140 deputies) , placed to the left, close to the sans-culottes; a Triumvir at their head, formed by Danton, Robespierre and Marat. 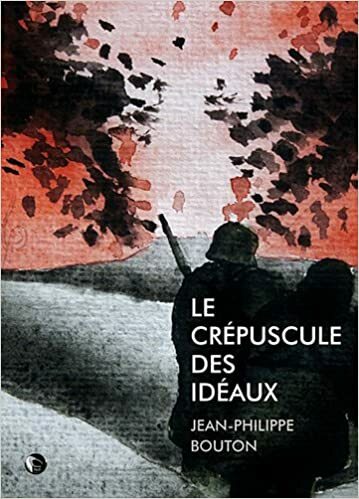 There is also Desmoulins , Saint-Just, Fouche, Couthon, Collot, the Duke of Orleans (Philippe Egalité, the king’s cousin); the Jacobin Club inspire extreme ideas of the Mountain; they are opposed (including Robespierre) to war outside the borders, putting kla priority to the fight against the enemy within. The Jacobins – This is a club whose role was major in the directions taken by the Revolution. He had successively several names: The club of the Britons, and the Society of Friends of the Constitution and finally Jacobin Club , the name of the Convent of the Jacobins nearby. Couthon said of him: « Here was prepared the Revolution is here it is made, it is here that have prepared all the major events. » His influence was felt during the period 1792 and 1794, as public support hi Committee and Robespierre. he enjoyed several thousand relay throughout France. It was dissolved in 1794 after the fall of Robespierre. The Revolutionary Armed marking time. Belgium is particularly lost. An English landing is expected. The Girondins then launch conscription of 300,000 men for March, which will be the source of insurrectionary outbreaks, against revolutionaries, including Vendee. Saint-Just asked to speak to the Convention. He finished his long speech by « a king must reign or die. » The idea was launched. It will send the king to the scaffold. The Montagnards, placed to the left (the term will remain in French politics) of the Convention, leading the fight to obtain the King’s death to be voted by only 10 votes. They rely on the irrefutable evidence of his treason found in a chest in the Tuileries. Is not it outrageous that the King was ruled by an assembly not having the judiciary and thus its own accusers? Then it attempts to address the crowd: « I die innocent of all the crimes imputed to me. I pardon the authors of my death. I pray God that the blood you are spreading never falls on France. « But the drumming are ordered to cover his last words. One slice his head. Officially, France has no king. This is only the beginning of a long series of étêtages the executioner Sanson will perform professionally. The performance ends to draw the whole of Europe against France in a first coalition. Threatened on its borders, the Convention then inaugurated a violent political repression. Inspired by Robespierre, Danton, the minister of justice, created the revolutionary court. He won support for it Girondins Brissot subject of the arrest of Marat. Fouquier became the public prosecutor. Two sentences can then be pronounced: acquittal and, often, death. Danton said on that occasion: « Let us be terrible to teach the people to be. « Terror has begun! Hébert , founder of Father Duchesne , is one of the fiercest advocates of revolutionary extremism. It will fall under himself as a monarchist conspiracy charge! Marat was arrested but acquitted. The guillotine is out discounts and will operate seven days a week instead of the Revolution (now Place de la Concorde). Disgruntled residents inconvenienced by the smell of blood, will claim several times his move. Jacques Hébert (1757-1794) – He is the founder of Father Duchesne (1790). He exercises his talents to the club of the Cordeliers (1791). He was appointed deputy prosecutor of the Paris Commune in 1792 and became the spokesman of the « sans-culottes ». It is one of the architects of the Terror and a staunch supporter of de-Christianization. He was guillotined in March 1794. The Convention establishes, for more efficiency, a revolutionary government: Hi Public Committee which aims to prevent the risk of civil war (including Vendée) and invasion by foreign armies. Danton , strongman of La Montagne is initially strong man. But in July, he seems to want to step back. He feels in his neck to approach the breath of cleaver or he wants to enjoy his new wife? Marat , meanwhile, was found in her bathtub, murdered by Charlotte Corday , July 13, 1793. Pressure sansculotte (90,000 men invest the Convention on 2 June) will bring the Mountaineers to the committee: Couthon, Robespierre, Billot-Varennes and Collot. The creation of a new committee (known as the Year II) in September is unavoidable. Is imputed to Girondins military defeats spring 1793. The Girondins feel threatened and attack-cons. 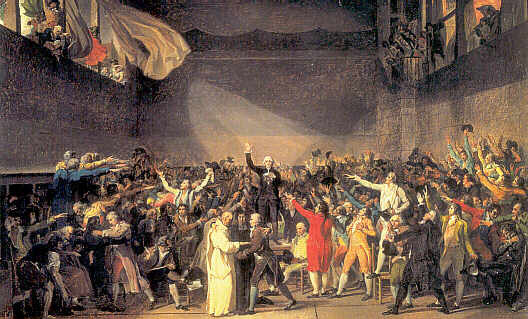 Mountain, led by Robespierre, then called the sans-culotte (including Hébert is the most influential member) and asked them « to get in insurrection against the corrupt deputies ». That is the end of the Gironde: Twenty-nine of their members were arrested and twenty-one were guillotined October 31, 1793, which Vergniaud and Brissot. Mountain won. The blade Sanson finally falls on the head of the queen. Marie Antoinette , which had accused of having ruined the kingdom, which was called vulgarly the Austrian, died October 16, 1793. Robespierre cleaned the Convention and the Committee of « factions, plotters and villains. » Supported by fanatics such as Saint-Just and Couthon, he has a free hand to govern virtually dictator by terror. Chase religion out the window, she comes through the door: Robespierre, tent, on the occasion of the Feast of the Supreme Being, June 8, 1794, to install a new religion. He is lost in contradictions. Soon, his opponents are more weary of terror and severed heads. On 27 and 28 July 1794 started what history has named the « Conspiracy of 9 Thermidor. » Robespierre tried to escape, but his fatal fate is already decided. He receives a call buckshot in the jaw. And with a face entwined in a white cloth red with the blood of the incorruptible Robespierre, accompanied by Saint-Just mounted the scaffold. His execution marks the end of terror and the beginning of a bourgeois revolution, a period during which the great bourgeois, as Barras, are trying to consolidate gains and make them account for the kingdom. The sans-culotte are sidelined. 22 August 1795 The Convention ended with the Constitution of the Year III and the establishment of a Management Board. 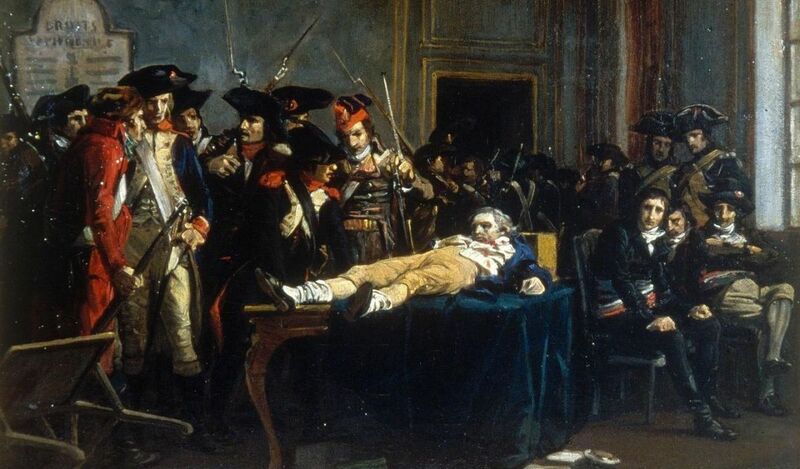 The arrest of Robespierre, his jaw broken by a pistol shot. The Royalists are given winners, prompting the Convention (called Thermidor) to reserve positions for his supporters. The Royalists are angry and threaten Paris. The first feat of arms of a young general without command, Napoleon Bonaparte, helps stop the shrapnel furious royalist crowd that had invested the streets of Paris. We October 5, 1795. This Convention shall prevail by force. The executive is in turn entrusted to a Management Board which include in particular Barras and Carnot. But the fire resumed in Vendée what makes the revolutionary armed intervention. Charette and Stoffiet are arrested and shot. The financial crisis at the origin of the Revolution, is still not resolved and the Management Board begins to borrow from the Bey of Algiers. Only the looting of the occupied territories (particularly in Italy, where General Bonaparte who just drive the Austrians advance) allows the money to go into the state coffers. community of goods and works. The poorest, of course, welcomes its Manifesto. But everything collapsed in 1796. He was arrested and tried and executed in May 1797. The revolution remains bourgeois and homeowners looking to consolidate their acquired property. In March 1797 the elections were once again favorable to the royalists who joined the disappointed of the revolution as Carnot (former director) and Pichegru who takes the presidency of the Five Hundred. A marquis (Bartholomew) made its entry to the Executive Board. Barras who noticed Bonaparte during the Royalist uprising in 1795 appealed to the General Commander of the Italian army to restore order in revolutionary ideas. Augereau is then sent by Bonaparte to invest Assemblies. Pichegru, Carnot and Barthelemy were arrested. Hunting royalists is restarted. again killing the refractory priest and the Pope was arrested by Bonaparte who took the opportunity to establish the Roman Republic. The Management Board tries to erase religion from public life. Bonaparte still saves the Management by entering with his armies in the Austrian Tyrol. Austria calls for peace and a treaty was signed in Campoformio. Sister republics are located in Italy, Switzerland and the Netherlands (Batavian Republic). Bonaparte, intoxicated by his success, wants to cut the route to India in English and therefore to attack Egypt. Mal took him since the French fleet was destroyed in Agadir in August 1798. Sieyes, the new director, and Barras grenouillent in secret from 1799 to consolidate the Jacobin power. But it was Bonaparte’s return will give a boost to the two strong men of the Management Board. The military command of Paris is entrusted to Bonaparte control meetings with his armies. The Management Board is abolished to give way to the Consulate. Bonaparte becomes first Consul.Bonaparte saved the revolution by giving the country the financial leeway by his conquests, submitting Austria and in establishing a strong power without denying (initially at least), the ideals the revolution. The Revolution ends with a semi-failure. Certainly the monarchy no longer exists but the ideals of equality, defended notably by the sans-culottes were set aside. The bourgeoisie holds power and dismissed the poorest. These will change masters. They will be locked in the factories where the wait exhausting work. Their new master will be the owner of industrial goods that will fight Karl Marx. Zola in Germinal describe the terrible proletarian condition. Article suivant The new revelations of archeology Documentary directed by Thierry Ragobert and Isy Morgenstern with the holdings of the archaeologist Israel Finkelstein and Neil Asher Silberman historian.